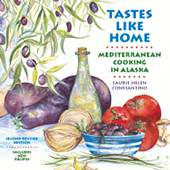 My goal is a comprehensive bibliography of English language Greek cookbooks (interesting cookbooks in Greek are also included). To submit additions or corrections to the bibliography, contact me. Unless noted otherwise, all cookbooks are in my personal collection. Treasured Recipes Nativity-Assumption of the Virgin Mary Greek Orthodox Church Massachusetts: Cohasset 1978? 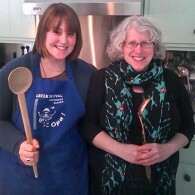 Journey Through Greek Cooking The Cook-Book-Club of St. Nicholas Greek Orthodox Church Washington: Tacoma 2003?